Skid Steer Loader Rental – Volvo MC60, is available for rent in Rochester NY, Ithaca NY and the entire Western New York region from the Duke Company. 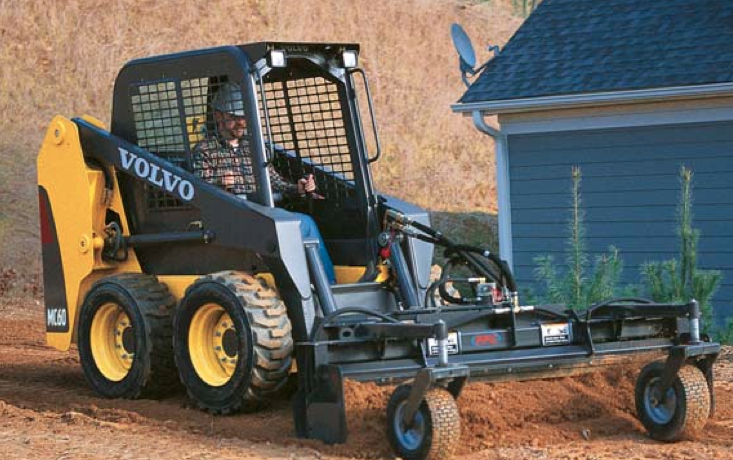 The Volvo MC60, wheeled skidsteer loader has notable performance characteristics. Its diesel-powered engine generates 49.5 horse power at 2,800 RPMs. It has an operating capacity of 1,350 pounds, tipping load of 2,700 pounds, operating weight of 5,478 pounds, and top travel speed of 6.4 miles per hour. It is 130.8 inches long and 60 inches wide with the standard bucket.